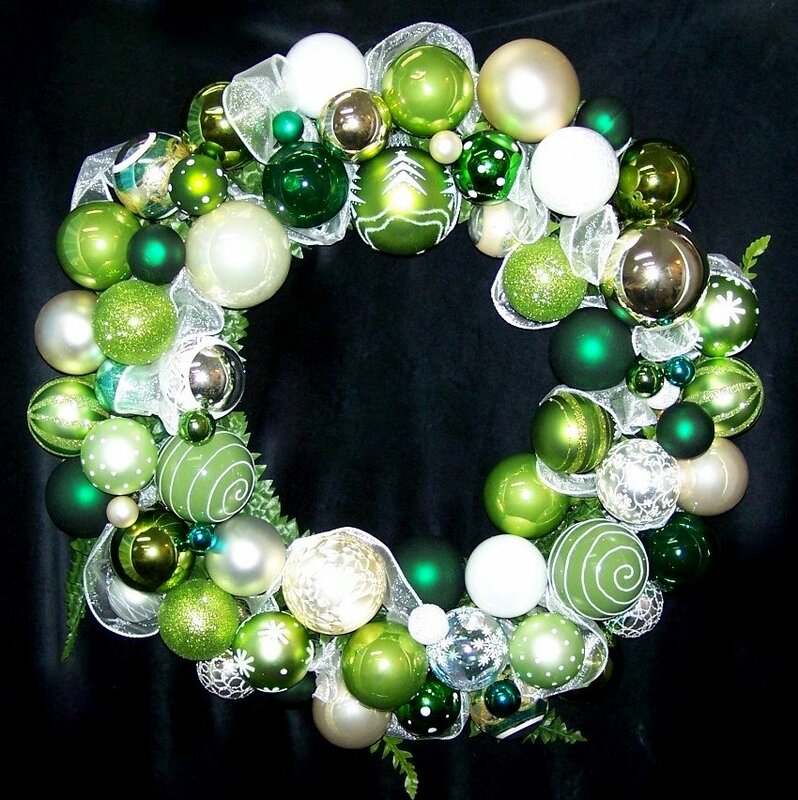 This spirited combination of green, white and ivory ornaments and ribbon makes a special holiday wreath. Hang it over the fireplace, or on the front door for a festive seasonal decoration. Approximately 21" diameter. Built in hanger. Click here for detailed delivery info.